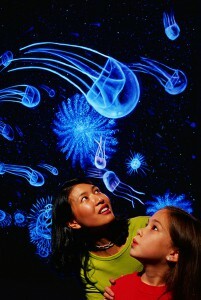 This exhibition depicts the mysteries of the ocean’s greatest depths. 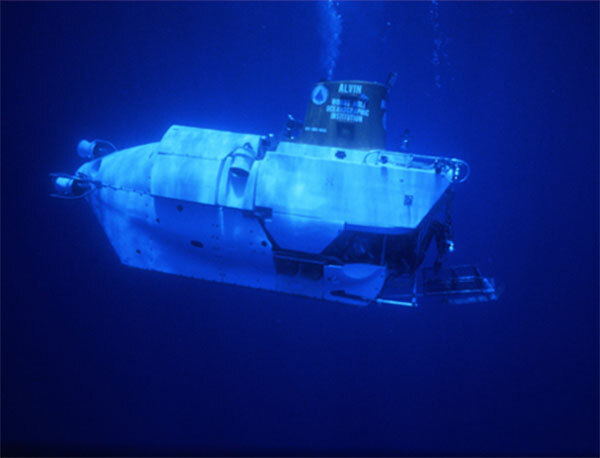 Newly discovered life forms, thermal vents, close-up views of deep-sea research submersibles, and shipwrecks, including the Titanic, are among the attractions in this deep-sea adventure. Visitors will observe first-hand the technology that has allowed men and women to travel to the ocean floor. 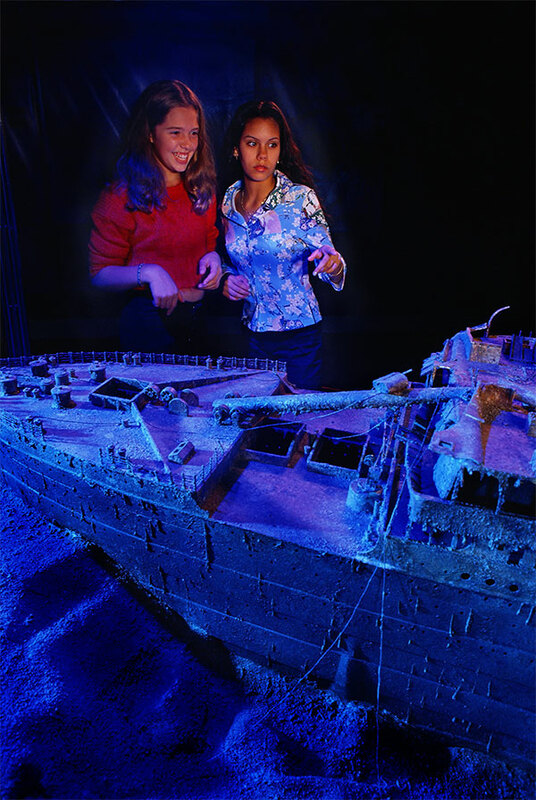 Visitors can fly a remotely operated vehicle over a model of the Titanic’s deck. 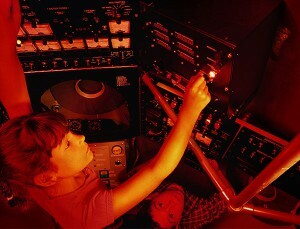 They can also test their skill at manipulating Alvin’s robotic arm by picking up lava rocks and clams from the sea floor while peering through a recreation of Alvin’s four-inch viewport window. Extreme Deep brings the sea floor to the surface in an amazing display that illustrates the magnificent engineering feats of Mother Nature, such as the building of enormous “black smokers” that spew mineral-rich fluid into the ocean supporting life vastly different from that flourishing on land or shallow water. This 250m2 exhibition is designed for ages 6 and older, introduces biology, chemistry, geology, history, exploration and the critical role that technology plays in understanding our world and its future.